Everything you need to quickly create a professional online presence for your marketing or advertising agency is already set up in the Creative Agency WordPress Theme, so all that's left to do is add your own content. 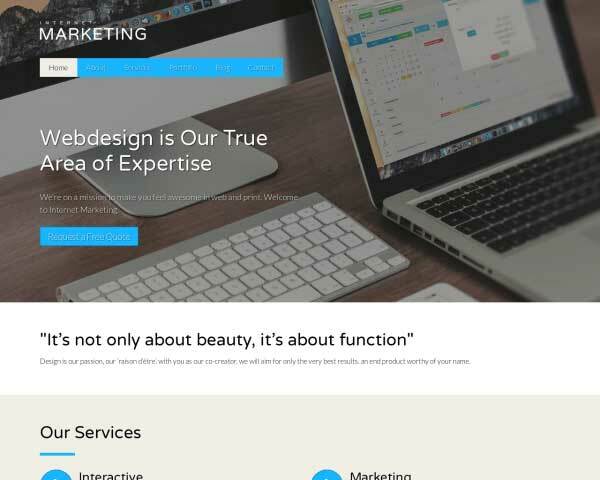 This website template is easily customized and simply designed to let your work shine. 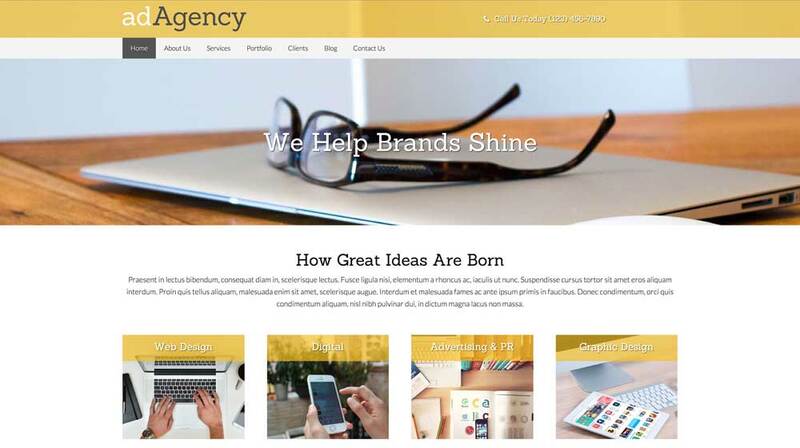 Save time without cutting corners when you build your new website with the Creative Agency WordPress Theme, designed to help you quickly create a professional online portfolio without any coding at all. 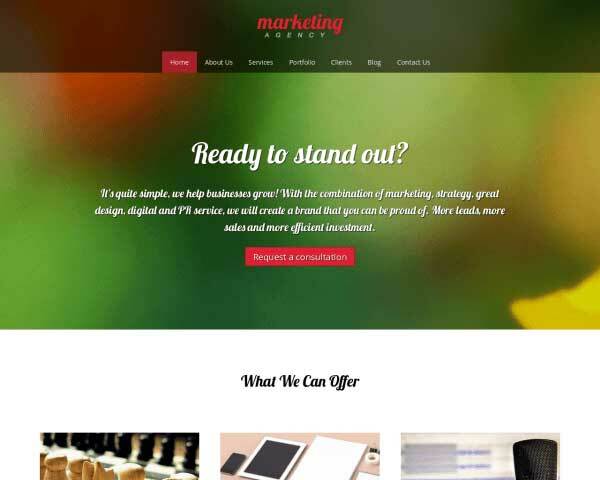 Ideal for marketing and advertising agencies, this pre-built website template features a bright, friendly look. 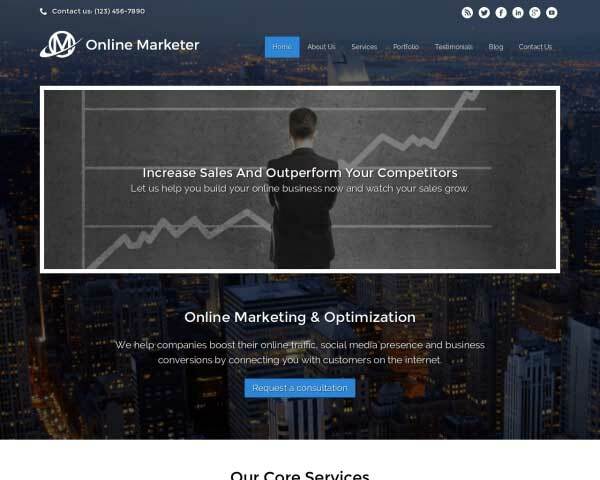 The homepage is designed with an eye-catching background image slider and convenient navigation to important pages on your website. We've set up individual pages for each of your services as well as a portfolio overview and project detail pages, all filled with placeholder content and ready for your own text and photos. It's simple to change the color scheme and style text using our visual front-end editor, and you'll be able to easily rearrange page layouts using drag and drop widgets. 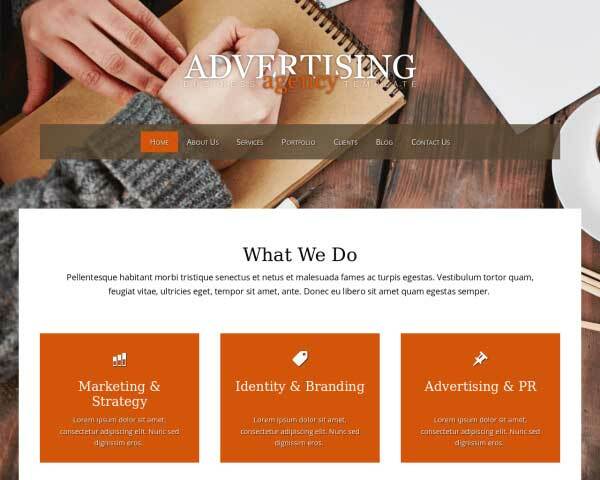 This premium WP theme for ad agencies comes packaged with many useful features that would normally require tedious coding or plugins, like integrated social media options, lightbox image galleries, customizable contact forms, built-in Google fonts, sleek responsive design and much more. 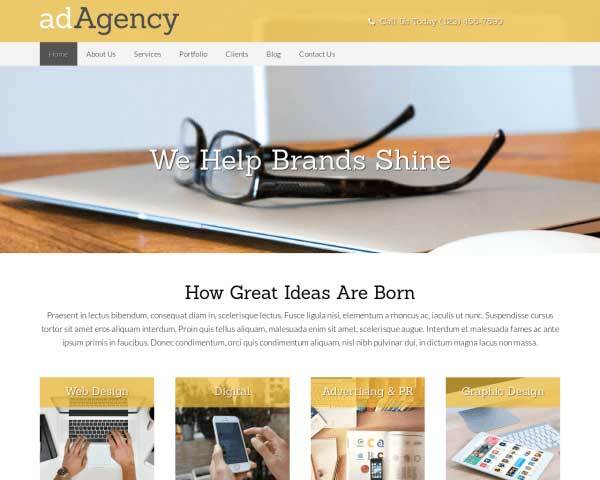 With the Creative Agency WordPress Theme, you can get your portfolio website online fast to keep the focus on attracting new clients and delivering awesome work. 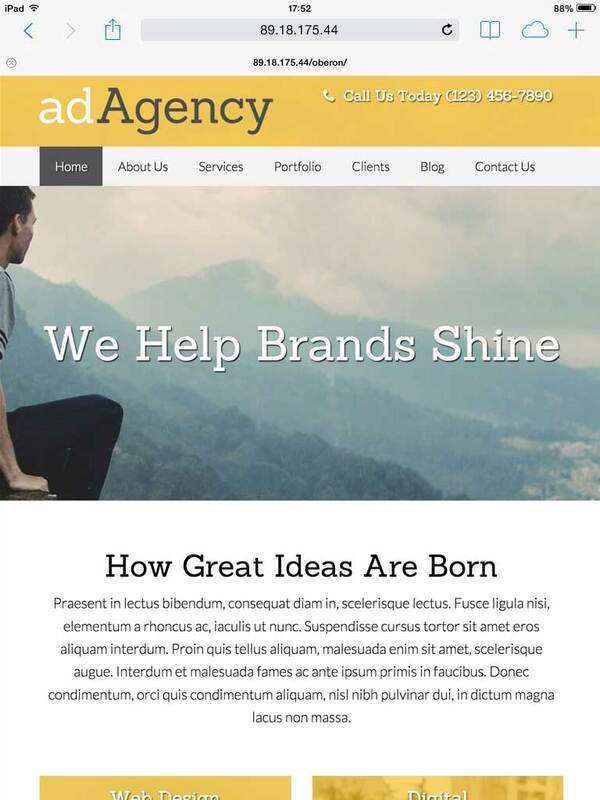 The Creative Agency WordPress Theme was designed specifically for ad executives. So chances are that anything your marketing website might need is already there - at your fingertips! The Creative Agency WordPress Theme comes with an image slider where you can upload your own photos, adding an exciting, attention-grabbing element to your homepage. 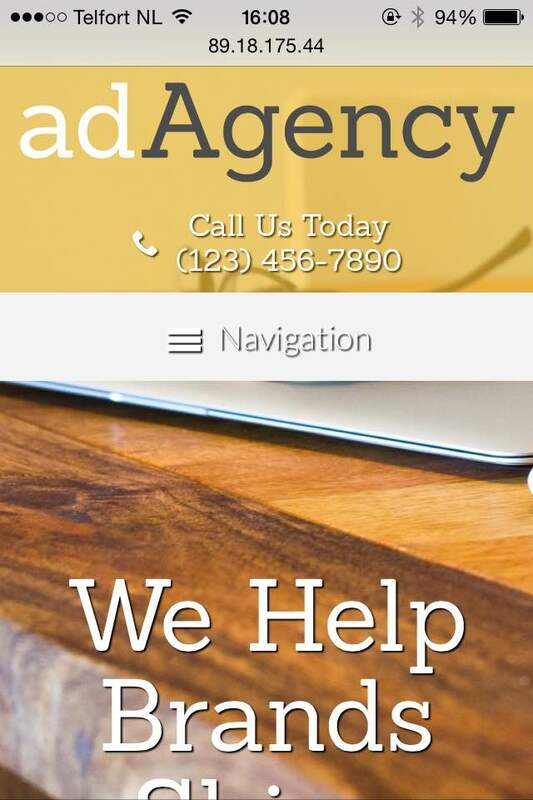 The Creative Agency WordPress Theme's contact page is built with useful features like an integrated Google map, route planner and a contact form that can be customized to suit your needs. Describe your unique and appealing approach on the service detail pages of the Creative Agency WordPress Theme. Simply replace the text and images with your own. The Creative Agency WordPress Theme's homepage is laid out rock solid. 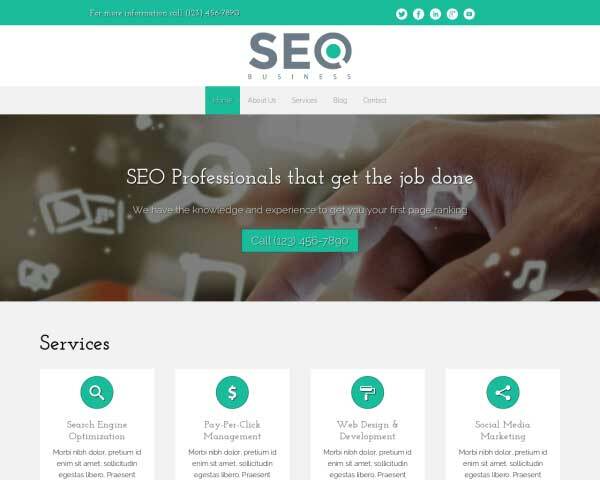 With a beautifully symmetrically aligned service overview for you to showcase your particular skill-set. 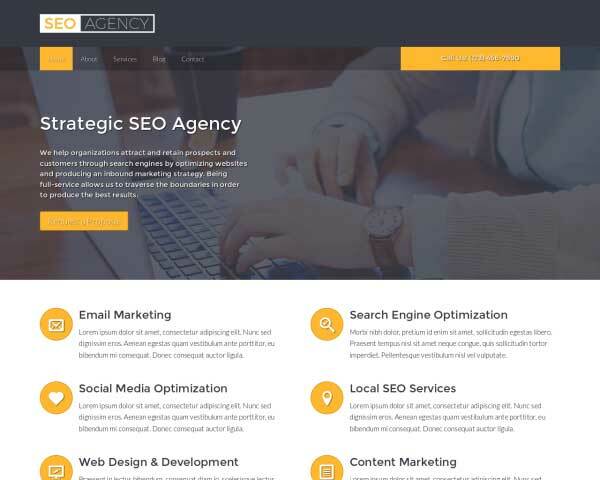 You won't lose time searching for plugins when this Creative Agency WordPress Theme comes packaged with icons for popular social media platforms as well as Facebook and Twitter widgets. 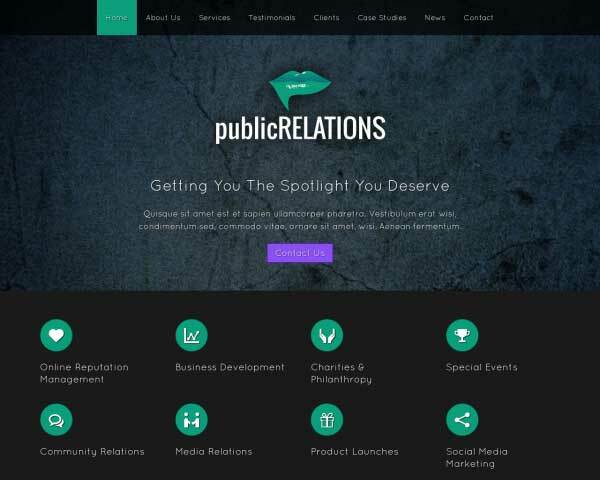 The Creative Agency WordPress Theme's About Us is set up for you to describe your company profile and approach. Introduce each member of your team with a photo and a short bio. 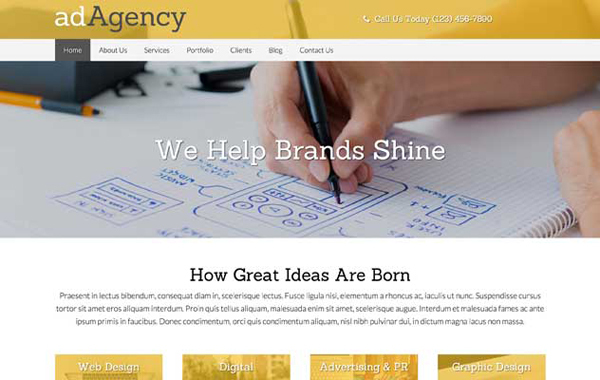 With this responsive Creative Agency WordPress Theme you'll never have to give a second thought to the mobile version of your agency's website. Absolutely no coding, plugins or extra effort are required to ensure that your pages will display beautifully on any screen size. That's because our mobile-optimized design will automatically adjust the layout of your content based on the capabilities of each handheld device. Your visitors will be treated to the same professional look and functionality of the desktop version using any smartphone or tablet.